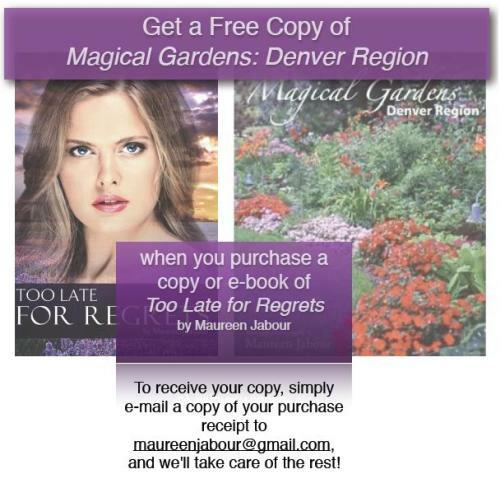 While supplies last, get a free copy of my gardening book, Magical Gardens: Denver Region, when you purchase Too Late for Regrets! This book contains hundreds of beautiful photographs and makes the perfect addition to any gardener’s collection. To get your free copy, simply e-mail your purchase receipt to me at maureenjabour@gmail.com and we will take care of the rest! Please note, this also includes e-book purchases.